Three Cowgirls finished the night in double-figures to help lead the Wyoming basketball team (10-5 overall, 3-1 MW) to a double-figure victory, 66-55, over the New Mexico Lobos (15-3 overall, 3-2) on Wednesday night. Senior Liv Roberts recorded her second double-double in the past three games. She finished with 19 points and a game-high ten rebounds, while shooting 8-of-16 (.500) from the field and 3-of-5 (.600) from beyond the arc. Junior Bailee Cotton chipped in 13 points and six rebounds followed by sophomore Taylor Rusk with ten points and three assists. Senior Natalie Baker and junior Sladjana Rakovic each brought down six rebounds while Baker added nine points. Wyoming shot 24-of -55 (.436) from the field, 7-of-20 (.350) from beyond the arc and 11-of-16 (.688) from the free throw line. As a team, they out rebounded New Mexico 42-27 and held the number one scoring defense to 30 points under its average. Senior Cherise Beynon finished her night with a game high 28 points while shooting 11-of-20 (.550) from the field for the Lobos. Freshman N’Dea Flye followed with ten pints and six rebounds while freshman Madi Washington added nine points on the night. Junior Jaisa Nunn had a team-high nine rebounds. New Mexico shot 23-of-65 (.354) from the field and 3-of-16 (.188) from beyond the arc. Wyoming got on the board first with a basket from Cotton. Six of the next seven points were scored by Beynon to make it 6-3 New Mexico through the first media timeout. Started by a Roberts three, the Cowgirls went on a 9-2 run to pull ahead by four, 12-8. Five unanswered by the Lobos swung the advantage to one, 13-12, but a late shot in the quarter gave UW a 14-13 lead after one. Both teams went over four minutes before baskets by Cotton and Beynon ended each teams scoring droughts. A three by the Lobos put them back up 18-16, which was answered with nine straight giving the Cowgirls a seven-point advantage, 25-18. Flye hit a shot to end a three minute scoring drought by New Mexico with 2:41 left on the clock. The teams combined for nine points to finish up the half with Wyoming taking a 30-24 lead going in to the locker room. The Cowgirls came out strong in the third with a 9-2 run to extend it to a double-figure advantage, 39-26. Over the next several minutes, the two teams went back and forth scoring as Wyoming continued to maintain a double-figure advantage. With the score 51-36 in favor of UW, New Mexico scored five straight to close the gap to ten, 51-41, with 2:03 left in the third. Rakovic hit two free throws to close it out making it 53-41 headed in to the fourth. Two baskets early pushed the lead back to 16, 57-51. A 5-0 run by the Lobos made it an 11-point game, 57-46, but was answered by a three pointer from junior Marta Gomez. The Lobos continued to battle back and closed the gap to single-digits, 60-53, with 3:56. The teams traded the next couple of possessions until a three by Roberts with 2:19 to go. 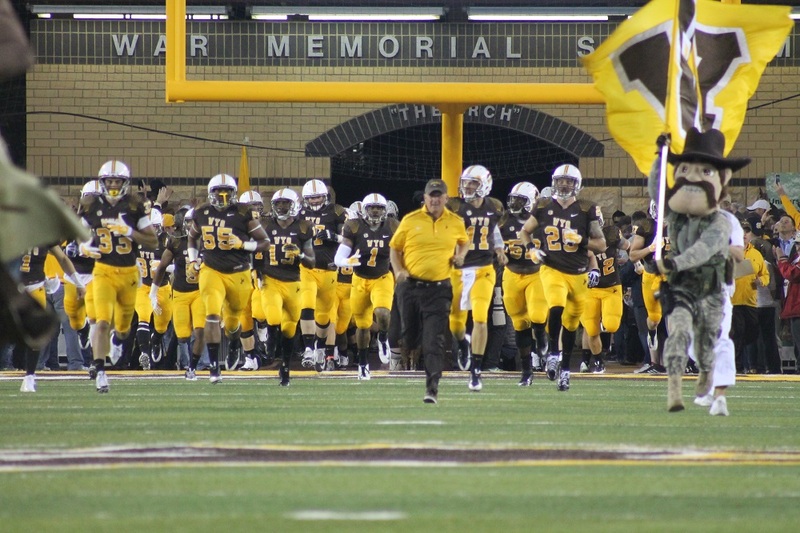 Wyoming clamped down defensively and held New Mexico to one field goal on its way to a 66-55 victory. The Cowgirls will be on the road Saturday to face the Colorado State Rams. The game is set for 2 p.m. MT at Moby Arena in Ft. Collins.